Phoenix White is a high opacity, bleed resistant ink that performs extremely well on 50/50 cotton- poly blends. Its creamy consistency allows this product to work well on automatic presses without any buildup concerns. Very versatile ink that can be used as an underbase, stand alone or highlight white. Alpine White is formulated to easily provide good coverage on dark garments. Great for 100% cotton, as well as, cotton/poly blends. When cured Alpine White provides a smooth silky finish to the printed area. Great for underbase. Better as a stand alone ink with a quick flash and superior printability. Glacier White is specifically formulated to prevent all types of dye migration on cotton/poly blends. Excellent results when printing on Fleece goods as well. Works well through mesh ranges of 96t to 230t. Glacier White is a premier product for use as an underbase. It will provide a very smooth surface for overprinting colors. Quick flash,very creamy and reliable. Cotton White is Triangle’s premium white ink for printing on 100% cotton garments. Very creamy body with a super opaque finish. performs well on automated presses, as well as, manual machines. Great coverage, no build up and finishes with a very soft hand. Can be used as an underbase in multi color prints and as a stand alone white. Our ready to use Nylon White can be printed directly onto nylon garments without the need of a catalyst. It is an opaque ink which is superb as an underbase as it will give excellent adhesion to the garment. Mostly used on nylon sporting apparel our Nylon White will flash quickly and cure with a smooth finish. Note: When printing nylon jackets a catalyst will be need due to the waterproof finish ( sizing ) that is on the jacket. Our Stretch White is a bleed resistant, high opacity ink that is formulated to provide high elongation on fabrics that stretch. 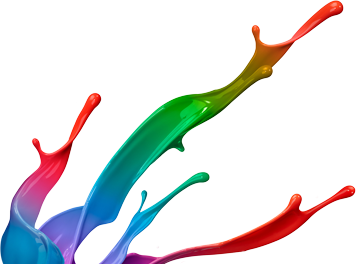 A direct printing ink which can be used on Lycra, Spandex or any performance wear fabric. Stretch White is a short body ink that prints well through a variety of mesh sizes and flashes very quickly.